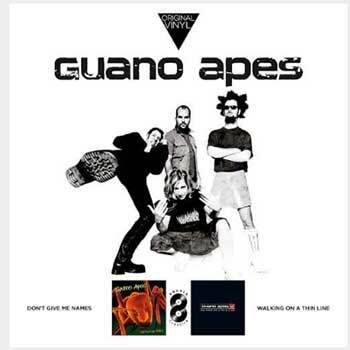 German alternative act GUANO APES had a huge success with their debut album "Proud Like A God". The story continues with "Don't Give Me Names" in 2000 und "Walking On A Thin Line" in 2003. These albums reached the number one possision in the german album charts. "Don't Give Me Names" and "Walking On A Thin Line" will be rereleased as a double vinyl package as part of the "Original Vinyl Classics" series.